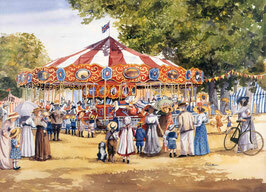 Faye's first carousel in a set of 4, each measuring 18x24" image area. 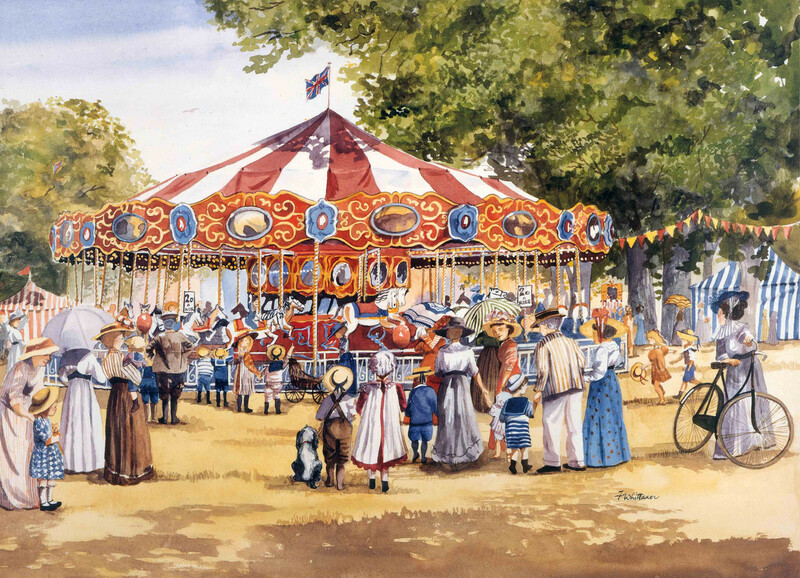 A delightful piece printed on 250gsm, fine white watercolour paper. The edition is low , 75, signed and numbered by the artist, complete with a certificate of authenticity.